New York, Brummer Gallery, Brancusi, November 1933-January 1934, no. 26 (titled Nancy Cunard). Amsterdam, Stedelijk Museum, Abstracte Kunst, April 1938, p. 2, no. 10 (titled Miss N.C.). New York, The Solomon R. Guggenheim Museum and Philadelphia Museum of Art, Constantin Brancusi, October 1955-February 1956, no. 55 (titled Sophisticated Young Lady and dated possibly 1928). New York, World House Galleries, The Struggle for New Form: Loan Exhibition for the Benefit of Just One Break, Inc., January-February 1957, p. 15, no. 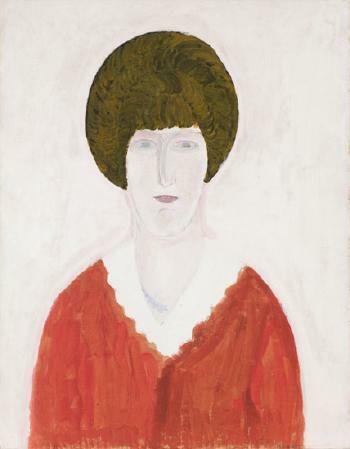 9 (titled Sophisticated Young Lady and dated circa 1928). New York, Staempfli Gallery, Constantin Brancusi: Sculpture, Drawings, Gouaches, November-December 1960, no. 13 (illustrated). New Orleans, Isaac Delgado Museum of Art, Odyssey of an Art Collector: Unity in Diversity, Five-Thousand Years of Art, November 1966-January 1967, p. 180, no. 219 (illustrated, p. 136; titled The Sophisticated Young Lady and dated 1928). New Orleans, Isaac Delgado Museum of Art, February 1967-August 1969 (on extended loan). Philadelphia Museum of Art; New York, The Solomon R. Guggenheim Museum and The Art Institute of Chicago, Constantin Brancusi: A Retrospective Exhibition, September 1969-April 1970, pp. 14 and 126 (illustrated, p. 127; titled Portrait of Nancy Cunard). New Orleans, Isaac Delgado Museum of Art, September 1971-September 1974 (on extended loan). New York, Marlborough Gallery, Inc., October 1975 (on loan). New York, The Metropolitan Museum of Art, June 1978-March 2018 (on extended loan). San Antonio Museum of Art, Brancusi as Photographer, January-April 1982. New York, Sidney Janis Gallery, Loan Exhibition of Works by Brancusi and Mondrian, December 1982, no. 13 (illustrated; titled Portrait of Nancy Cunard). New Orleans Museum of Art, Diamond Jubilee Celebration, January 1986-March 1987. Paris, Musée national d'art moderne and Centre Georges Pompidou, Constantin Brancusi, April-August 1995, p. 242, no. 90 (illustrated, figs. 1-2; illustrated again in color, p. 243). New York, The Metropolitan Museum of Art, Artists of the School of Paris, February-May 1997. London, Royal Academy of the Arts, Paris: Capital of the Arts, 1900–1968, January 2002-April 2002, p. 436, no. 75 (illustrated in color, p. 151). New York, Wildenstein & Co., Inc., The Odyssey Continues: Masterworks from the New Orleans Museum of Art and from Private New Orleans Collections, November 2006-January 2007, p. 198, no. 74 (illustrated in color). 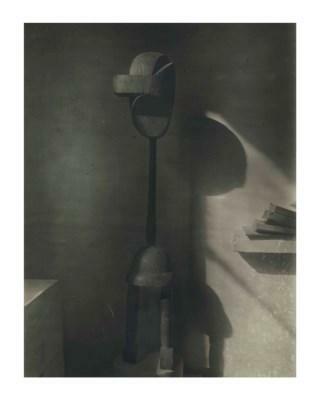 "Brancusi Sculpture Exhibited: Most Representative Collection Ever Assembled is Displayed at Gallery in New York City" in The Washington Post Magazine, December 1933 (illustrated in situ at the 1933-1934 Brummer Gallery exhibition). "Above the city" in Interiors: Hotels, The Race to Design, May 1955, p. 77 (illustrated in situ in the Stafford's home). R. Huyghe, Dialogue avec le visible, Paris, 1955, pp. 114-115 (plaster version illustrated, p. 114, fig. 99c; titled Mademoiselle N.C.). C. Zervos, Constantin Brancusi: Sculptures, peintures, fresques, dessins, Paris, 1957, p. 78 (illustrated; titled Jeune femme sophistiqué and dated possibly 1928). C. Giédion-Welcker, Constantin Brancusi, 1959, p. 114 (illustrated, pl. 52; walnut version illustrated, p. 115; dated circa 1928). I. Jianou, Brancusi, New York, 1963, p. 110, no. II (illustrated, pl. 59). M. Deac, Constantin Brancusi, Bucharest, 1966, p. 199, no. 122 (illustrated, p. 177). S. Geist, Brancusi: A Study of the Sculpture, New York, 1968, pp. 93-94, 111 and 229, no. 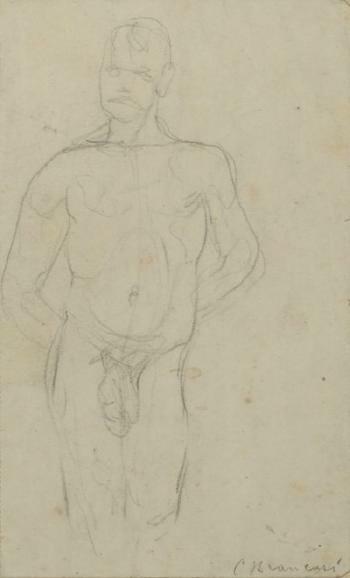 181 (illustrated, p. 110; titled Portrait of Nancy Cunard). S. Geist, Brancusi: The Sculpture and Drawings, New York, 1975, pp. 145 and 191, no. 205 (illustrated, p. 145; titled Portrait of Nancy Cunard). A. Chisholm, Nancy Cunard, New York, 1979, p. 91. P. Hulten, M. Tabart and I. Monod-Fontaine, Brancusi: Photographe, exh. cat., Musée national d'art moderne, Centre Georges Pompidou, Paris, 1982, p. 55 (illustrated in situ in the artist's studio circa 1941-1946). W.A. Fagaly, "Brancusi's The Sophisticated Young Lady on Loan for the 75th Anniversary" in Arts Quarterly, New Orleans Museum of Art, July 1986, p. 38 (illustrated; titled The Sophisticated Young Lady). R. Varia, Brancusi, New York, 1986, p. 164 (illustrated). F.T. Bach, Constantin Brancusi: Metamorphosen Plasticher Form, Cologne, 1987, p. 495, no. 255 (illustrated; titled La jeune fille sophistiquée and catalogued as signed twice). P. Hulten, N. Dumitresco and A. Istrati, Brancusi, New York, 1987, pp. 207, 231, 234, 239, 254 and 311, no. 194 (illustrated, pp. 204 and 311; illustrated in situ at the 1933-1934 Brummer Gallery exhibition, pp. 206-207; illustrated in situ in the artist's studio, p. 235; titled Portrait of Nancy Cunard). A.C. Chave, Constantin Brancusi: Shifting the Bases of Art, New Haven, 1993, pp. 36 and 189 (illustrated, p. 37, fig. 1.16; illustrated again, p. 188, fig. 5.15). C. Gidion-Welcker, Brancusi als Fotograf, exh. cat., Lichtensteinische Staatliche Kunstsammlung, Vaduz, 1996, p. 12 (dated 1927-circa 1933). J.H. Dobrzynski, "Big Sculpture Gift for Missouri Museum" in The New York Times, 21 March 2000 (walnut version illustrated). R. Varia, Brancusi, New York, 2002, p. 164 (illustrated in color). 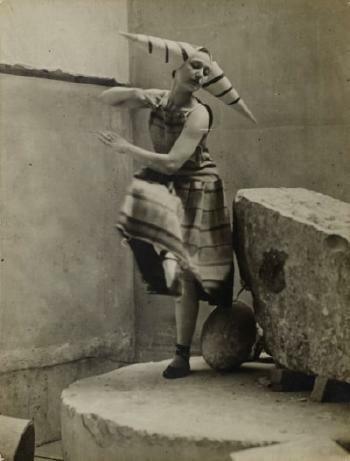 C. Giménez and M. Gale, eds., Constantin Brancusi: The Essence of Things, exh. cat., Tate Modern, London, 2004 (illustrated in situ in the artist's studio circa 1940-1945, p. 131, fig. 43). P. Mola, Brancusi: The White Work, Milan, 2005, p. 158, no. 64 (illustrated, p. 98, fig. 51; titled Nancy Cunard). L. Gordon, Nancy Cunard: Heiress, Muse, Political Idealist, New York, 2007, p. 126 (illustrated, pl. 33; titled Jeune femme sophistiquée). J. Neutres, Brancusi in New York: 1913-2013, exh. cat., Paul Kasmin Gallery, New York, 2013, p. 68 (illustrated in situ at the 1933-1934 Brummer Gallery exhibition, p. 33; illustrated again in situ in the artist's studio in 1928, p. 71; titled Portrait of Nancy Cunard). Acquired from the artist by the family of the present owner, 1955.